If our small but dedicated staff represents the skeleton of Yad Eliezer, then over 12,000 volunteers are its heart and soul. It is our large international corps of volunteers that enables Yad Eliezer to minimize administrative costs while maximizing the scope of assistance we are able to provide to Israel's neediest families. In the United States, England, Australia, Canada, South Africa, and elsewhere, these volunteers assist in everything from collecting food and monetary donations, shipping second-hand clothing and shoes, to coordinating Feed-a-Baby, Bar-Mitzvah Buddies, and Adopt-a-Wedding partnerships. In Israel, a cross-section of society men, women, high school students, seminary girls, IDF soldiers as well as visitors from abroad, descend upon the warehouse daily to pack the tens of thousands of food boxes that are distributed to needy families. Farmers throughout Israel donate truckloads of fresh produce to supplement the diets of poor children. Generous individuals donate their professional services from banking to auto repair that provide an enormous financial savings to Yad Eliezer. The utilization of volunteers means that every dollar donated to Yad Eliezer is multiplied numerous times, because it is applied not to salaries and overhead, but directly toward assisting needy people. In fact, Yad Eliezer applies less than 4% toward administrative and fundraising expenses enabling over 95% of our budget to directly assist those who need it most. 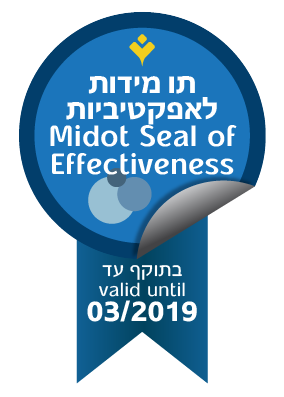 This has earned Yad Eliezer the coveted 4-star rating from Charity Navigator, but more importantly, it has enabled Yad Eliezer to help hundreds of thousands of Israel's needy.